There are so many bottled water brands on the market. So, how do you find out which is the healthiest bottled water in Australia? Well, firstly, you need to know where the bottled water you’re buying comes from and what type of water it is. Take a good look at the label: is it “naturally sourced water”, “natural mineral water” or “spring water”? There’s no argument that the healthiest bottled water in Australia is the second: natural mineral water. Why? It can only be given this name if it comes directly from a source that’s been identified, protected and kept well away from contamination. In addition, this source must demonstrate a “characteristic stable mineral composition”. We bottle Beloka Water in the mountains and, specifically, at the eastern border of Kosciuszko National Park. Being natural mineral water, it runs straight out of a pristine spring. Absolutely nothing gets its way. In fact, all Beloka Water filters through geological strata that’s 500 million years old, which means it’s packed full of healthy vitamins, minerals and nutrients. For this reason alone, we’ve no doubt whatsoever that Beloka Water is one of the healthiest bottled waters in Australia. We’re not the only ones making such a grand claim. We’re pleased to say that we have the backing of experts. Fine Waters of the World, a well-respected organisation dedicated to the planet’s best waters, has rated Beloka Water as “superior”. This prestigious label is given only to water that’s completely protected from any nasties. 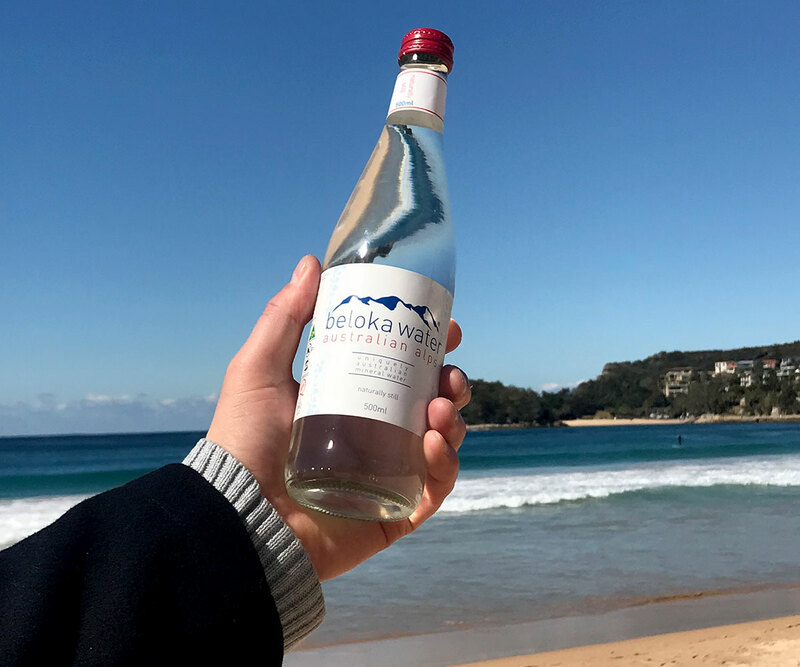 A water’s purity is measured by the amount of nitrate it contains: the lower the level of nitrate, the purer the water – and the closer it is to being the healthiest bottled water in Australia. Being “superior”, Beloka Water has less than 1mg of nitrate per litre. In case you’re curious: the World Health Organisation warns that exposure to water containing more than 50mg nitrate per litre can be dangerous over prolonged periods. Another indicator that Beloka Water is one of the healthiest bottled waters in Australia is its nutrient content. Every bottle is crowded with vitamins, minerals and nutrients, which are crucial to the healthy functioning of the body and brain. Whenever you sip Beloka Water, you’re taking in calcium, which is essential to strong bones, as well as potassium, which can help to boost energy levels and fight depression. Then there’s silica, which keeps your hair and nails strong, plus magnesium, which is important for so many reasons. Magnesium can relieve anxiety, promote calcium absorption, boost heart health and prevent an array of problems, such as diabetes, headaches and PMS. There’s also a stack of electrolytes, which ensure the water is absorbed quickly and efficiently, maximising hydration levels. If you’re hitting the gym, this is a major advantage. But any time you drink Beloka Water you can rest assured you’re doing yourself a massive favour. You’ve no doubt heard all about the dangers of plastic to both our health and that of the environment. When you drink Beloka Water, you don’t have to worry about them. We have always used glass to bottle Beloka and will continue to do so. Glass has so many benefits, from being 100% recyclable to not releasing any chemicals. When Beloka Water arrives at your table, it’s as pure as it was the day we sourced it from the mountainside in the Australian Alps. In addition, you don’t have to think about the damage done by air miles: our water isn’t shipped halfway across the world from Europe! Coming from such a clean source, Beloka Water escapes all contaminants or additives. The only journey it takes is through ancient rocks and – far from adding impurities – these actually increase the water’s mineral content. As it travels along, teeny-tiny particles of minerals join the ride, eventually making their way into your body, where they do nothing but good. What’s more, they’re absorbed easily, because they remain in naturally-occuring compounds.